T. Bears Florist is a company that offers everything from floral arrangements to stand on their own to accent pieces and blooms that can be added to other aspects of the celebration and décor. You can work with the florist to find a flower to use as part of your hairstyle or you can incorporate flowers into the cake topper. However you would like to use the flowers, this Columbus florist will do everything possible to accommodate for your special requests. Villager Flowers and Gifts offers everything from flower delivery in Columbus to wedding arrangements that will make any venue feel more romantic. Reviews of this company cannot seem to say enough about the customer service, the flexibility and the talents of these florists. They can come up with traditional arrangements and designs or work with you to create something that is completely unique. Either way, you will have the most beautiful flowers surrounding you on one of the biggest days of your life. 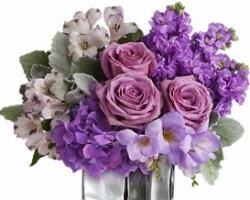 Milano Florist offers some of the most beautiful and some of the freshest flowers on the market. Add to this the fact that the flowers and the designs are also affordable and you have one of the best companies to find wedding flowers in Ohio. You can select from the range of flowers that grow seasonally or request for a specific kind of flower to be planted for your specific event. 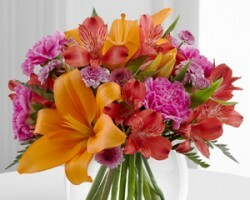 These experts can provide arrangements for any style and color you may want. 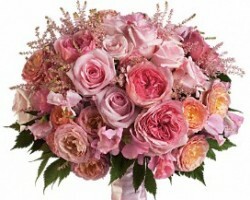 Your wedding flowers should only add beauty to one of the most special days of your life. This is why so many couples in Ohio seek out the floral designs and assistance of Rees Flowers & Fine Gifts. This is one of the local flower shops that has designs prepared for last minute wedding orders as well as the talents and the capacity to come up with original and custom designs to suit any wedding. 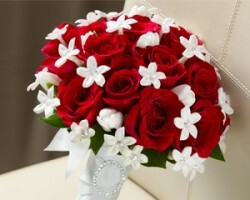 The designs will suit the theme of the occasion in style and color. 5th Ave Floral Co. has experience creating beautiful bouquets for brides, decorations for the venue and centerpieces for the reception. 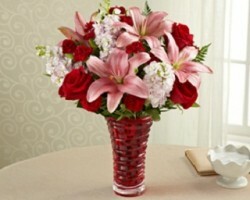 The range of services and experience that this company has to offer make them one of the top florists in Columbus, OH. Working with this team to create an atmosphere for your special day means having unique arrangements and an intimately designed space. You may even have a hard time deciding which flowers and designs are best when there are so many beautiful ones to choose from.